This time SendinBlue thought about the Drupal users, Drupal being one of the most used CMS worldwide. Just like the Wordpress plugin, the Drupal plugin will allow users to create subscription forms, manage contact lists, send transactional emails and access the statistics of the sent campaigns. The creation of forms is with no doubt one of the main features of this plugin, a must-have feature for all those who wish to collect new opt-in contacts on their Drupal website. To use this feature, please go on the Configuration tab and access the SendinBlue plugin from the System module. 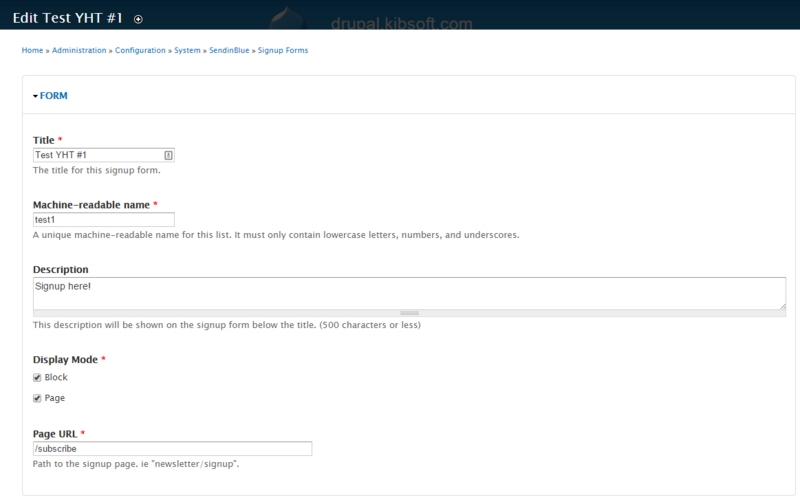 The Signup Forms tab will allow you to see the list of the forms you've created and add new ones as well. After completing and saving the form, you just need to choose where to display it. 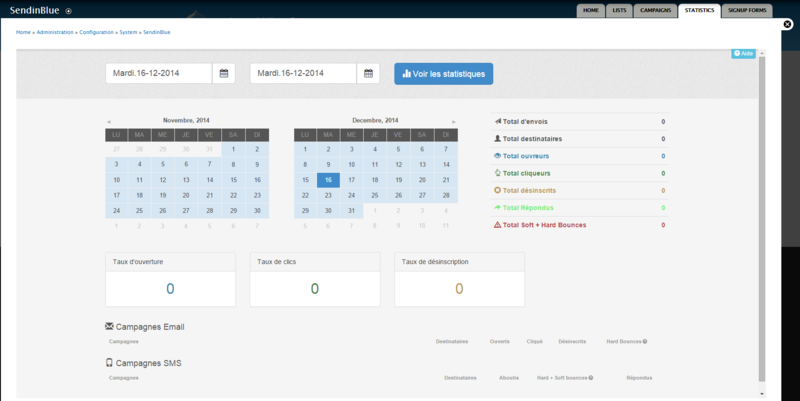 By clicking on Block you can choose the position of the subscription form. Thanks to this plugin you will be able to send transactional emails through SendinBlue's SMTP server. This will increase your chances to get your emails in the inbox (subscription confirmation, contacts form, etc.). You will be also able to analyze the deliverability and the performance of your emails in real time, from the Statistics tab. This way you will know precisely who received, opened or clicked on your emails. 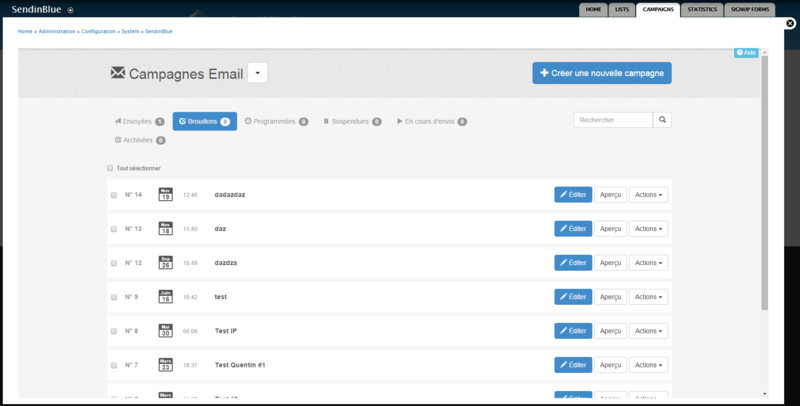 The SendinBlue plugin allows you to access some of SendinBlue's key features directly from your Drupal backoffice: - Manage contact lists - Send and monitor campaigns - Analyze the results We would like to know your opinion and suggestions on the Drupal plugin, so don't hesitate to share your thoughts and comment below.